It's not surprising that the Sadhu has been honoured for his talent with awards in Kerala and outside. He has already had over 23 exhibitions and each time he brings a fresh look at his chosen subject and theme. In fact the Kerala Lalithakala Academy chose Sadhu for this year's Vijaya Raghavan Gold Medal Endowment. He has also been recognized abroad. 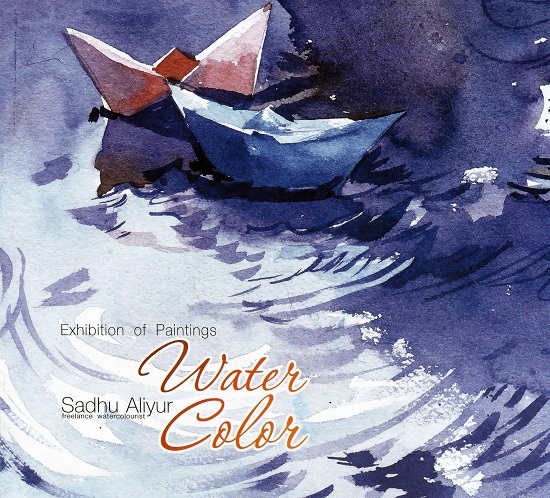 The Turkey International Water Colour Society recently honoured Sadhu Aliyur for his contributions. His Paintings find a place of honour amongst the work of welt known water colour artists from over 50 nations worldwide, and also find Pride of place in the art collections of many in India and abroad. Now you too can get a taste of some of Sadhu Aliyur's best works sourced from several inter-state exhibitions and camps.